Christina Hesselholdt was born in 1962 and studied at the Writers School in Copenhagen, where she has also taught for many years. 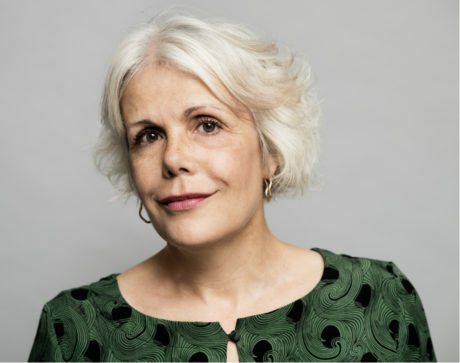 She was included in Dalkey Archive’s Best European Fiction 2013 and extracts from her work have been published in Norwegian, Swedish, French, Spanish and Serbian. Companions has been published by Hanser Verlag in Germany, Natur och Kultur in Sweden, Éditions Phébus in France and Fitzcarraldo in the UK. Translation rights for Vivian are recently sold to Hanser Verlag in Germany, Grupa Wydawnicza Foksal in Poland and Fitzcarraldo in UK. Recently awarded the Grand Prize of the Danish Academy 2018, Christina Hessselholdt is the recipient of countless literary accolades, among them the Danish Critics’ Prize 2010, winner of the Danish Radio Best Novel Award 2017. Shortlisted for the Nordic Council Literature Prize in 2017. Awarded the Grand Award of the Danish Academy 2018.